With our newly certified drone pilot, we are excited to announce the launch of a new division of Blue Raster: Drone Operations and Spatial Analytics. Blue Raster is entering the world of drones. We already have significant experience using Esri’s Drone2Map for ArcGIS app. With our newly certified drone pilot, we are excited to announce the launch of a new division of Blue Raster: Drone Operations and Spatial Analytics. 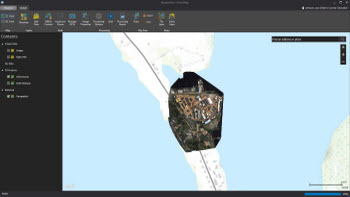 Drone2Map for ArcGIS is a desktop app that turns raw still imagery from drones into stunning information products in ArcGIS. 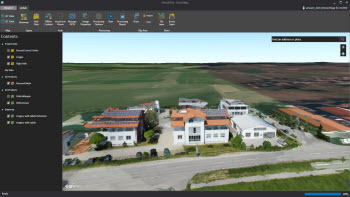 Now, with drone hardware becoming more accessible, you can create 2D and 3D maps of features and areas that may be hard to access or fully cover because of size or terrain. Monitor environmental changes, the impact of natural disasters, scheduled events, and more. 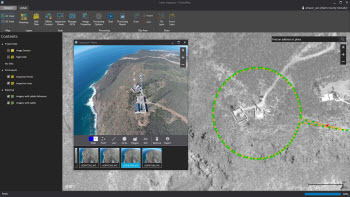 Together with many other capabilities in ArcGIS, Drone2Map for ArcGIS helps you unlock the insights hidden in your imagery. 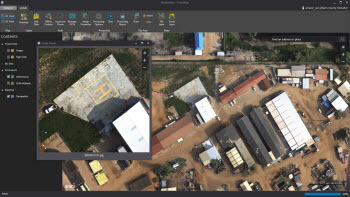 Quickly create orthosmosaics and digital surface models to verify the coverage and quality of your imagery collection. Create high-resolution orthomosaics, digital surface models, and multispectral indices. Create detailed 3D colorized point clouds, 3D textured meshes, and 3D PDFs. Process drone imagery and quickly inspect objects of interest. Ask us how we can help you by using Drone2Map for ArcGIS today!